a five-year initiative to double the number of U.S. students studying abroad by the end of the decade. Central Piedmont Community College responded to the IIE’s challenge, pledging it would increase the number of students it was sending overseas by 70 percent and double the number of countries available to study abroad students by 2020. (At the time the pledge was signed, CPCC was sending approximately 35 students to four different countries. The Global Learning Office is pleased to announce that it has achieved the goals it set forth for the program almost four years ago, two years ahead of schedule. All study abroad experiences are led by a diverse faculty pool, representing a variety of career fields such as the culinary arts, history, humanities, health sciences and international business and others to give students the global competencies and skills needed for today’s 21st century workforce. To help students broaden their horizons and journey beyond North Carolina’s state lines, the college offers a number of scholarship opportunities, from sources including the U.S. State Department, the German Language and Culture Foundation in Charlotte, the French Embassy, Central Piedmont’s Foundation, Generation Study Abroad, crowd funding by faculty/students, Central Piedmont’s Student Life, and Partners of the Americas, to cut students’ travel costs. This past summer, Central Piedmont student Britney Jolly travelled to Guatemala for two weeks where she participated in a variety of service initiatives, including providing hands-on health services to locals. Going forward, Central Piedmont hopes to recruit even more students like Britney into its study abroad program, giving others the opportunity to prepare for life and work in a global society. To learn more, visit cpcc.edu/study-abroad/study-abroad or call 704.330.6167. 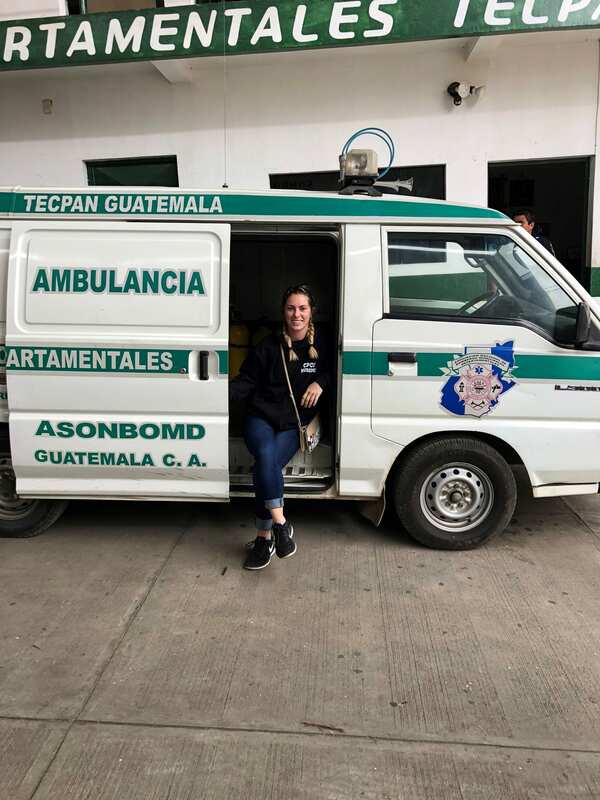 This entry was posted in Community and tagged britney Jolly, global learning, study abroad by Mallory Benz. Bookmark the permalink.